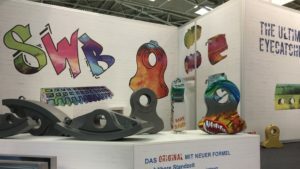 | At IFAT, Stahlwerke Bochum GmbH informed about the longer lifetime and optimised stress resistance of its CSNG shredder hammers. 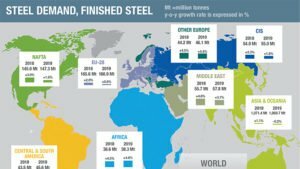 | World crude steel production for the 64 countries reporting to the World Steel Association (Worldsteel) was 148.3 million tonnes (Mt) in April 2018, a 4.1% increase compared to April 2017. 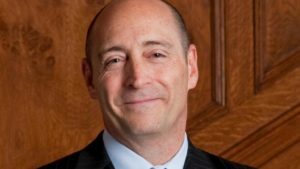 | During its 2018 convention and exposition, the Institute of Scrap Recycling Industries (ISRI) elected four new national officers who will lead the association and industry over the next two years. 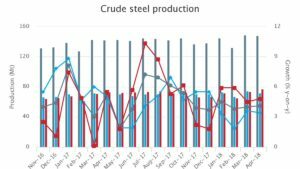 | World crude steel production for the 64 countries reporting to the World Steel Association (Worldsteel) was 148.3 million tonnes (Mt) in March 2018, a 4.0% increase compared to March 2017. | The World Steel Association (worldsteel) hasreleased its April 2018 Short Range Outlook (SRO). worldsteel forecasts global steel demand will reach 1,616.1 Mt in 2018, an increase of 1.8% over 2017. 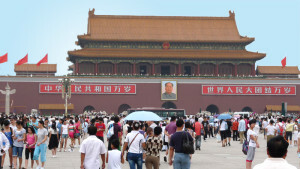 In 2019, it is forecast that global steel demand will grow by 0.7% to reach 1,626.7 Mt. 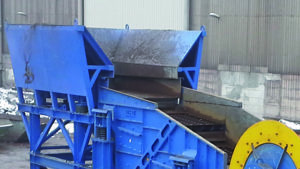 | German based InterVIB GmbH delivered numerous Linear Vibratory Screens type VSL with special developed 3D-screening cassettes to various companies Europe-wide. 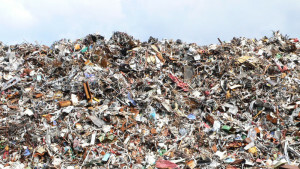 | The Agenda highlights the recycling industry’s priorities at the local, state, federal, and international levels related to Taxes & the Economy, International Trade, Energy and the Environment, Transportation & Infrastructure Development, Workplace Safety Initiatives, and Regulatory Policy. 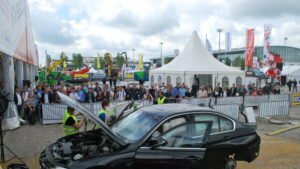 | The Trade Fair Organisation could attract the BDSV and the world leader in the car drainage process company, SEDA Umwelttechnik GmbH from Austria, to build a complete car-recycling drainage and dismantling installation at the exhibition centre. 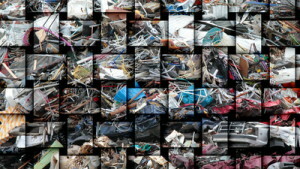 | The major factor driving the growth of metal recycling market is attributed to increasing industrialization and urbanization, rising income, and spending capability of people in developing economies such as China, Brazil and India. 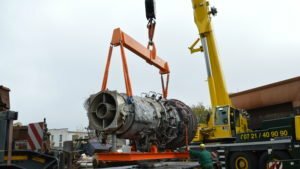 | With the documented destruction of aircraft turbines in 2016, Cronimet broke new ground in the recycling of finite resources. At the end of last year, the company further recycled its first gas turbine; the second one in January. 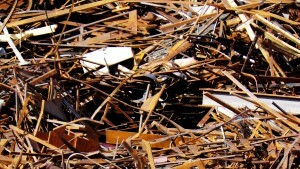 | According to figures from China's Association of Metalscrap Utilization (CAMU), China was the world’s biggest steel scrap user in 2017 after recording a steep 64.2% increase in its consumption to 147.9 million tonnes from 90.1 million tonnes in the previous year. 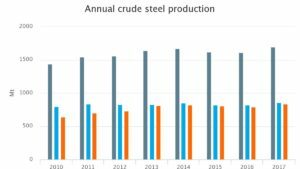 | World crude steel production reached 1,691.2 million tonnes (Mt) for the year 2017, up by 5.3% compared to 2016. 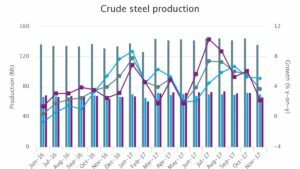 Crude steel production increased in all regions in 2017 except in the CIS, which has remained stable (subject to current estimates). 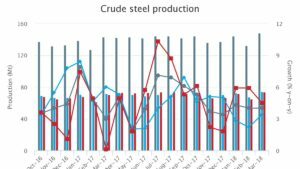 | World crude steel production for the 66 countries reporting to the World Steel Association (Worldsteel) was 136.3 million tonnes (Mt) in November 2017, a 3.7% increase compared to November 2016.